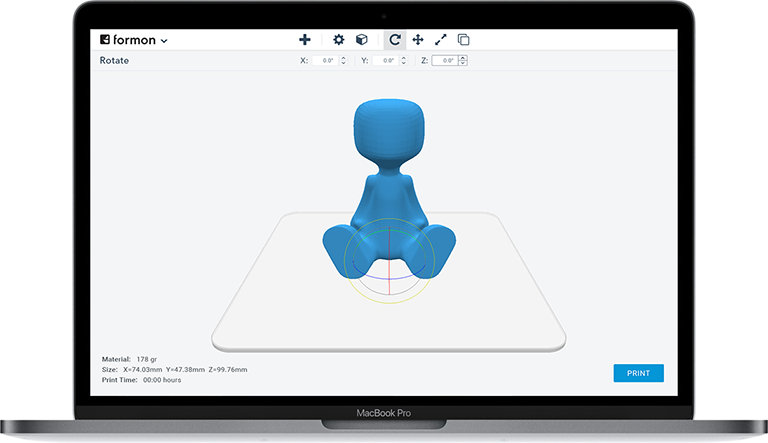 Formon Scope allows you to add multiple objects on print bed, edit their size, position and get them ready to print. 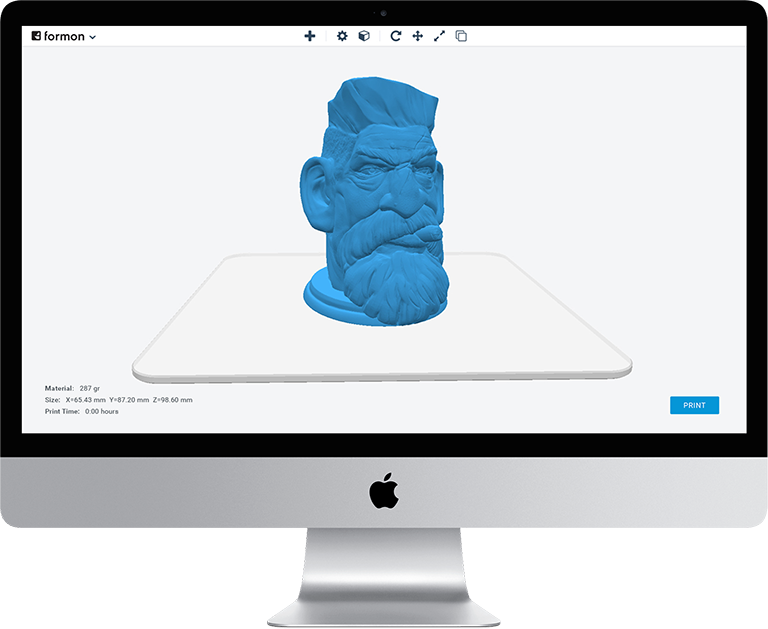 Choose between low, medium and high print resolution. 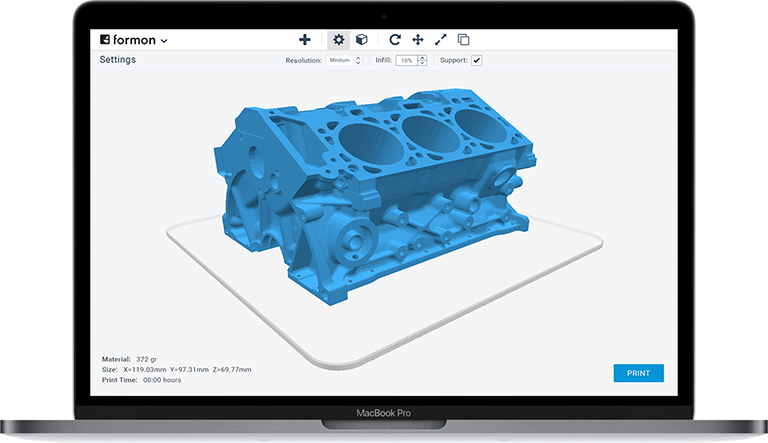 Set the infill percentage and select whether or not you want to add support. Rotate the object and set the desired rotation of the object. 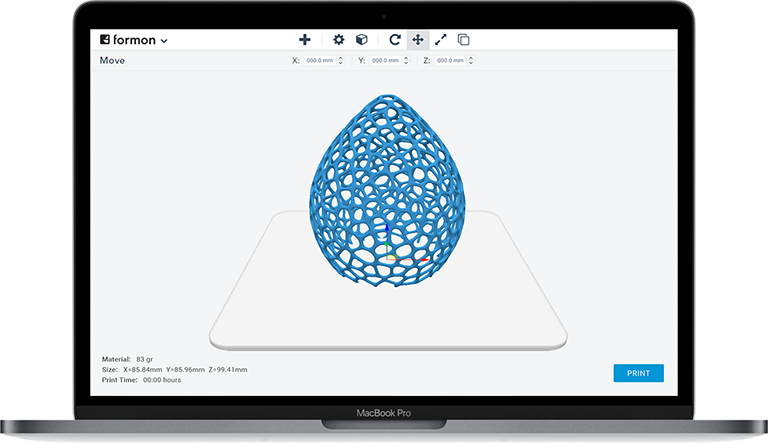 Move the object's position in the print bed instantly. 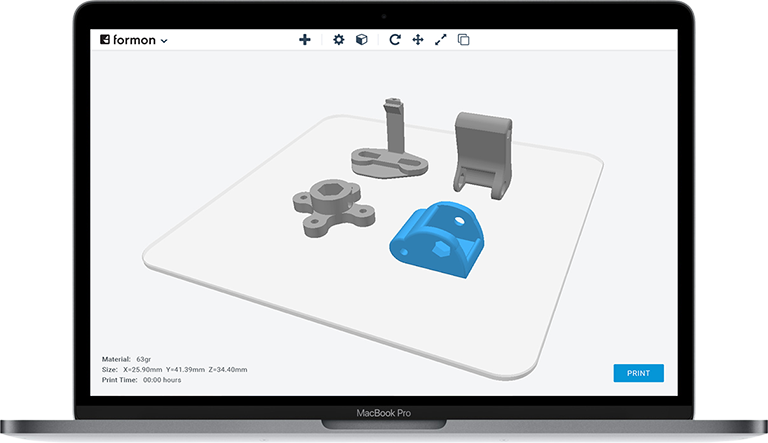 If you add more than one object you can arrange them in printing area of the build plate. Scale the object by changing the scale percentage. 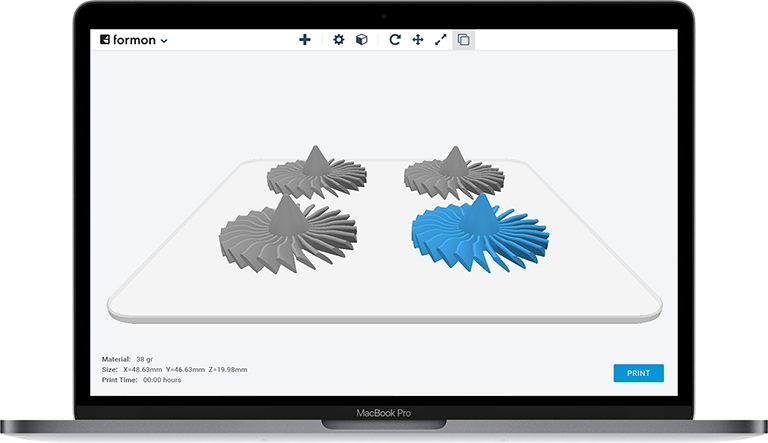 If you need to print multiple copies of the same object just click the duplicate button. A software as simple and intuitive as a photo editing app. 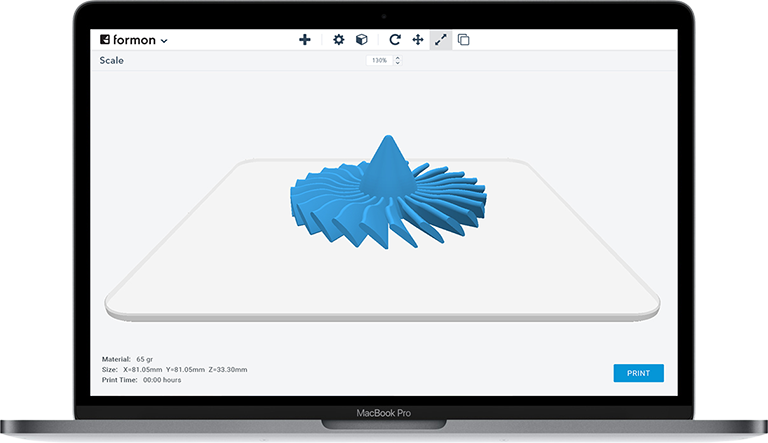 Is Formon Core the 3D printer you are looking for?